On Tuesday, Sept. 16, at 2:30 p.m. in room 205 of Falvey Memorial Library, Jill A. McCorkel, PhD, associate professor, Department of Sociology and Criminal Justice, will deliver a Scholarship@Villanova lecture about her recently published book, Breaking Women: Gender, Race and the New Politics of Imprisonment. Dr. McCorkel will discuss how her four years of research in a major U.S. women’s prison helped her to uncover the reasons tougher drug policies have so greatly affected those incarcerated there, and how the very nature of punishment in women’s detention centers has been deeply altered as a result. 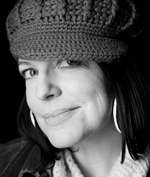 Lauded as “prison ethnography at its best” (Lorna Rhodes, author of Total Confinement: Madness and Reason in the Maximum Security Prison), her book is published by New York University Press and was a finalist for the 2013 C. Wright Mills Book Award presented by the Society for the Study of Social Problems. This event—co-sponsored by Falvey Memorial Library, the Department of Sociology & Criminology, the Gender and Women’s Studies Program, and the Center for Peace and Justice Education—is free and open to the public. Attending the lecture? 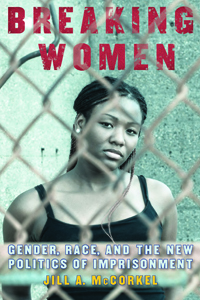 Now read Dr. McCorkel’s new book: Breaking Women: Gender, Race and the New Politics of Imprisonment. Keep up to date with the professor by following her on Twitter! Check out Dr. McCorkel’s collaborative photo essay with prisoners from SCI Graterford @ Strongbox Magazine – Vol. 1 2009. Becker, S. & McCorkel, J. (2011). The gender of criminal opportunity: The impact of male co-offenders on women’s crime. Building on ethnographic research and feminist labor market analyses, this study explores how gender affects access to criminal opportunities. Using National Incident-Based Reporting System (NIBRS) data, the authors examine the effect a male co-offender has on women’s offending. They find that the presence of a male co-offender broadens women’s criminal involvement in distinctive ways. McCorkel, J. (2003). Embodied surveillance and the gendering of punishment. McCorkel, J. (2004). Criminally dependent? Gender, punishment, and the rhetoric of welfare reform. This study relies on ethnographic data collected from a state prison for women to examine whether and to what extent welfare and criminal justice policies were coordinated during the drug and poverty wars of the past decade. Findings reveal that drug war policies did indeed transform punishment practices on the feminine side of the penal system, but such transformations were ultimately premised on changes to institutional interpretive structures that altered the ways state actors conceptualized gender, crime and women’s needs. A list of United States federal and state prisons which either currently or once did contain female prisoners. This classic text explores a variety of topics on female offenders from the nature of female offending, its patterns and explanations, power-belief theory and relational theory to institutional assessment, classification and programs. This is a “gripping collection of writings by and about imprisoned women in the United States, a country that jails a larger percentage of its population than any other nation in the world. This eye-opening work brings together scores of voices from both inside and outside the prison system including incarcerated and previously incarcerated women, their advocates and allies, abolitionists, academics and other analysts” (see the full description at the University of California Press). An accessible guide to women’s mental health in criminal justice systems, this text touches on meeting the needs of juvenile and adult offenders, measuring traumatic events in the lives of incarcerated girls, crisis intervention teams training, policy implications, and the ethics of justice and mental health systems. Explore more about corrections in the United States with this comprehensive list of print and online titles. 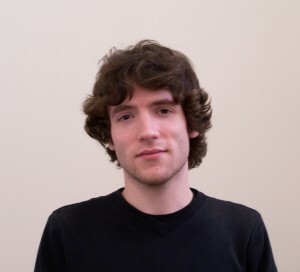 Article written and links provided by Alexander Williams, research support librarian for the social sciences and the liaison to the communication, criminology and sociology departments. For questions or more information, feel free to contact him by email (alexander.williams@villanova.edu) or phone (ext.8845).